Tables may be used for layout and data alike, but they must be constructed properly to meet the accessibility guidelines and to work well in responsive mode. 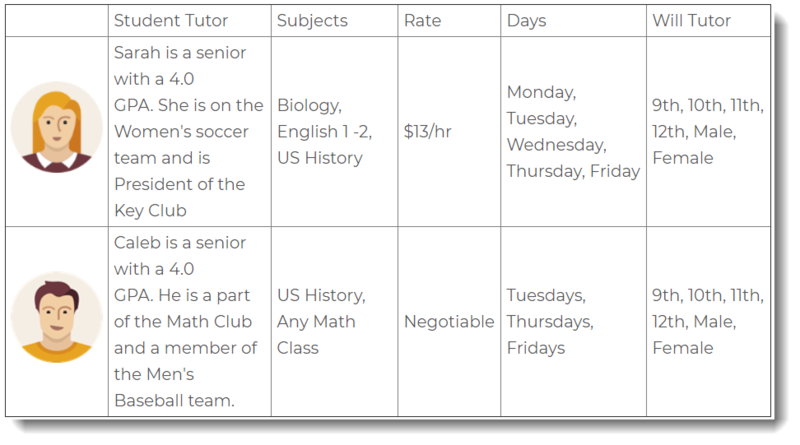 This guide first explains how to create a layout or data table. The hard part is using tables appropriately, which constitutes the bulk of this guide. Screen readers read the content of cells row-by-row moving from left to right. Organize the content in the cells of your table with this in mind. Do not use a header row or column. Do not enter a title/caption. 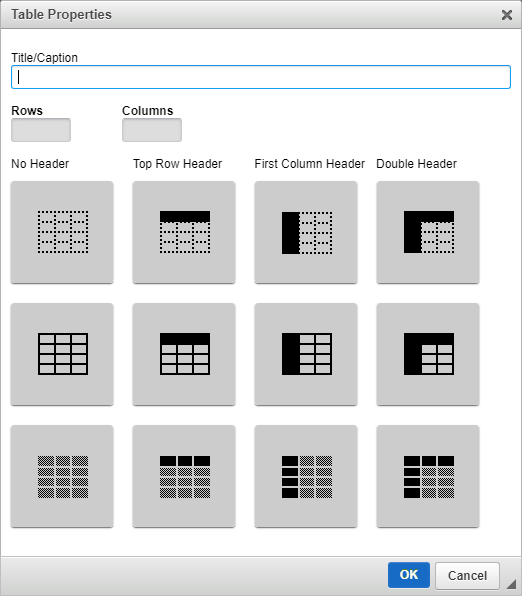 Use row and column headers (the options with the dark rows and columns in the image above). Include a title/caption (a brief description of the table). With the layout above, the name of the school and its address are going to be interrupted by the names of the administrators. Headers provide additional information about the content of the cells. A sighted user can easily tell that Nashville is the capital of Tennessee, but a blind user cannot quickly scan the table to read the row and column labels. Screen readers announce the name of the row and column headers along with the cell content. Without the headers, data tables are quite inaccessible, especially the large ones. If you find yourself creating large, complex tables with merged cells and tables within tables, you should step back and reconsider how to present your information. Perhaps several separate tables would be better than one complex table, and perhaps tables are not necessary at all. Too many columns can also represent a problem. Consider combining information and using fewer cells. Consider this alternate layout with just 2 columns. Note the application of a header row to make the table even more accessible.